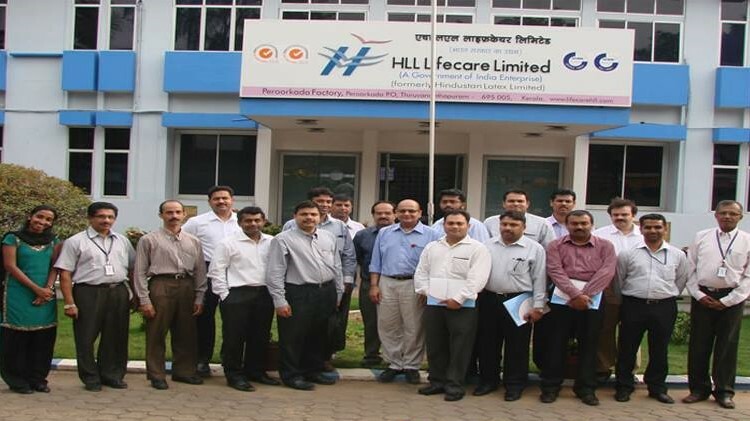 HLL Biotech Recruitment 2017 offers HR Executive Jobs & latest job Vacancy in their job recruitment advertisement for the post of HR Executive to apply online by eligible candidates. Human Resource (HR) Executive Jobs is now open in HLL Biotech recruitment to hire any MBA & PGDM candidates will chance to grab an HR Admin posts to apply soon possibly. Applicants who have a degree in MBA & PGDM can do apply for this job recruitment offered by HLL Biotech Recruitment 2017. They want to recruit total 01 posts to fill up job vacancy of HR Executive. MBA or PGDM masters can hurry to apply before the last date reaches. If you want to join HLL Biotech, Post Graduate and MBA students can apply before 27/06/2017. They want to collect job application to send through the Online method only by all eligible candidates. Eligible students can accept to send and apply for an online method for the HR/Admin jobs on or before 27/06/2017. Make sure to read each and every job information before applying to HR Executive job like post vacancy, salary, job process for selection, minimum qualifications, age limit, fees to pay if any, how to apply for this job and many other details to understand. Go through all details properly and then only apply for this job opportunity surfed by HLL Biotech Recruitment 2017. Already said that you can send your Job Application & apply online. Job Address: HLL Biotech, Chengalpattu. HLL Biotech recruitment is going on for the jobs posting of HR Executive jobs opening to fill their job vacancy in their Main Branch Office of HLL Biotech Recruitment 2017. So, Apply now to this latest job opportunity and fill total 01 job post vacancy to work as an HR Executive. Read all below details to know more job information which is required to read before applying for HR Executive Jobs. Qualifications: MBA or PGDM degree holder. Age Limit: 34 years old. Contract Period: Permanent or Contract base. (i) For the selection of HR Executive Jobs, you suppose to apply before the last date i.e. 27/06/2017. (ii) HLL Biotech conduct written test and personal interview for eligible candidate for final selection as per their norms. How to Apply for HLL Biotech Recruitment 2017? Send your job application by Online by visiting their official website i.e. 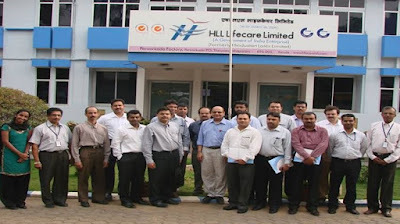 http://www.hllbiotech.com/careers/recruitments, and apply online. Read all job instructions and apply online by filling accurate details. The last date to receive the job applications is 27/06/2017. The important date to remember to apply for this job is 27/06/2017. Apply now in HLL Biotech Recruitment 2017 job post Vacancy for MBA & PGDM degree candidates can able to apply for HR Executive before the last date. Also, Check out the Fresher, Govt, Graduate, Post Graduate, latest, Jobs vacancies and maximum share this job recruitment with your Facebook and Twitter media friends those who want to work for HR Executive in HLL Biotech Recruitment.